← KoreAm’s Unforgettable Gala 2013 This Saturday! We had the extremely awesome pleasure of being able to cover the VAMPS concert at the House of Blues on Sunset last night, and boy, was it a doozy! 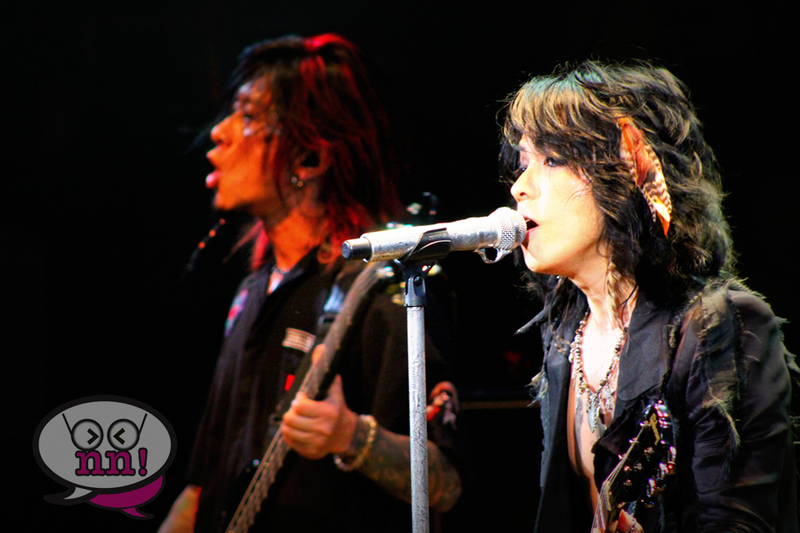 We follow Jrock as well as Kpop, (well, Cristina does…) and when we heard that VAMPS was going to make a stop in L.A., we jumped at the chance to be able to see them and photograph their show! Hyde is a supremely talented gentleman. He sings with the voice of an angel….or devil, depending on whether or not you choose to believe that he is a vampire, considering how young he still looks and how mesmerizing he is onstage! 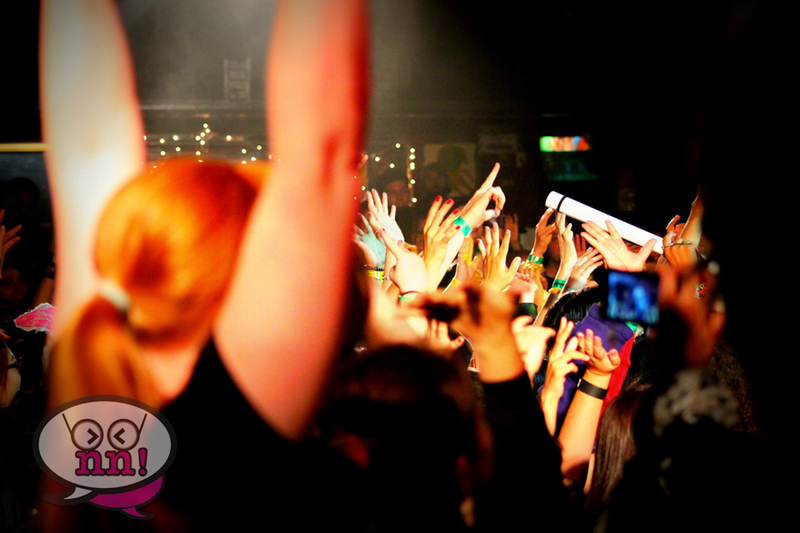 The House of Blues was packed to the brim with VAMPS fans, jrock fans and music fans, all ready for a great show! Fans had merchandise with all the trimmings, like VAMPS tote bags, tshirts and banners, hoping that the band would notice their heartfelt devotion. AND THEY DID! Onstage, Hyde was very generous with his fans, showing a lot of skin, licking his lips and dancing to the music as he scanned the crowd and smiled. At one point during the concert, Hyde yelled (in very good English) “I’m hungry! Who am I gonna eat? Where’s my lamb?”, to which all the fans screamed to choose them, kind of similar to Katniss’ famous “I volunteer as tribute!” times 1,000! Overall, a very energetic and intense show! The band continuously played through about 5 songs before they even stopped to drink water or think about taking a break! VAMPS are the consummate professionals and it’s not wonder that they are such a huge success in Japan. We hope that we get to see them play again, as it truly is an experience you have to see to believe. For more of our awesome pics, check out our Facebook page!